A courtesy review copy just arrived. Intriguing, because the study here is about intractable or seemingly “wicked” socio-political conflicts. 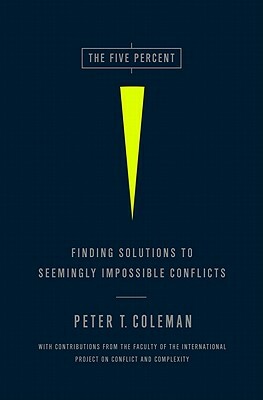 Coleman is an academic, researcher and activist in conflict resolution studies. Perhaps it will have some nuggets of wisdom for “de-escalating” 4GW or Hybrid wars. This entry was posted on Saturday, August 20th, 2011 at 5:42 pm	and is filed under 21st century, academia, analytic, authors, book, reading. You can follow any responses to this entry through the RSS 2.0 feed. Both comments and pings are currently closed.